Long time no sew. I’m having a bit of a dry, introspective patch with my sewing lately. 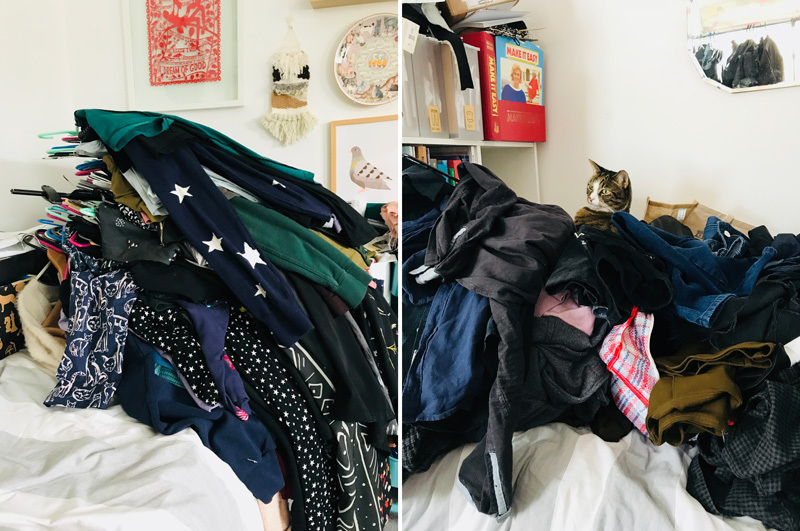 It got kicked off by getting a new wardrobe recently, which necessitated getting all my clothes out and dumping them in my sewing room for a week while the new one was installed. 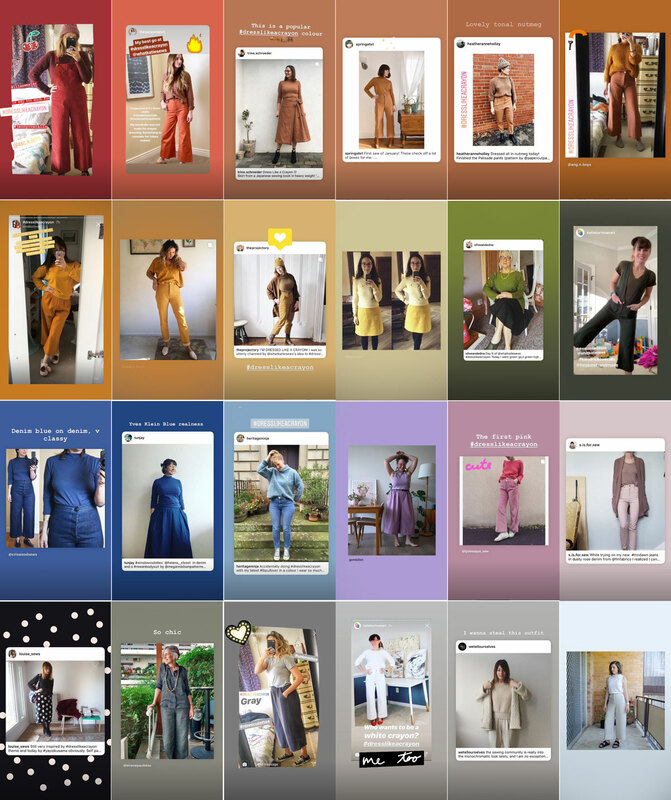 I didn’t have physical space to sew for one thing, plus being surrounded by my clothes forced me to confront the amount I own and consider how I can balance my desire to keep sewing with the fact that I really only want to make garments that my wardrobe needs and I know I’ll love and wear often. Yeah, that old chestnut again, eh?! 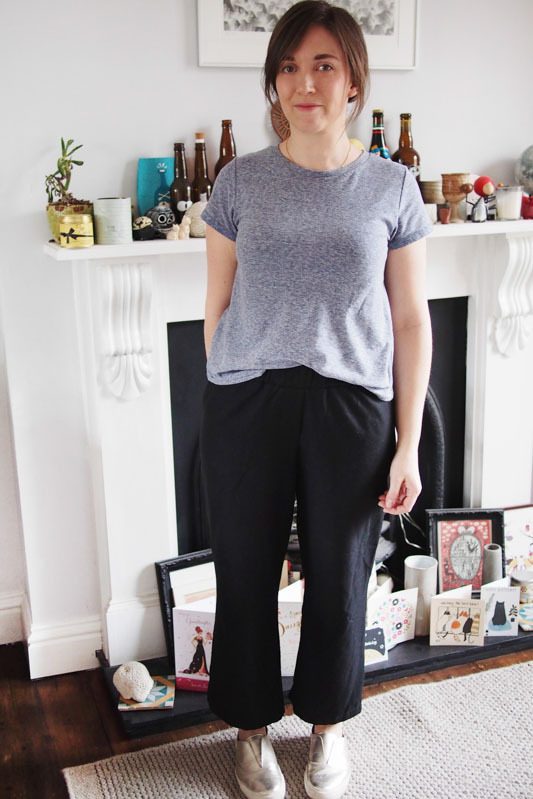 Admittedly I don’t actually have tons of clothes perhaps compared to others – I have one half of a smallish wardrobe which holds everything – but still feel increasingly uncomfortable with owning more than I need. 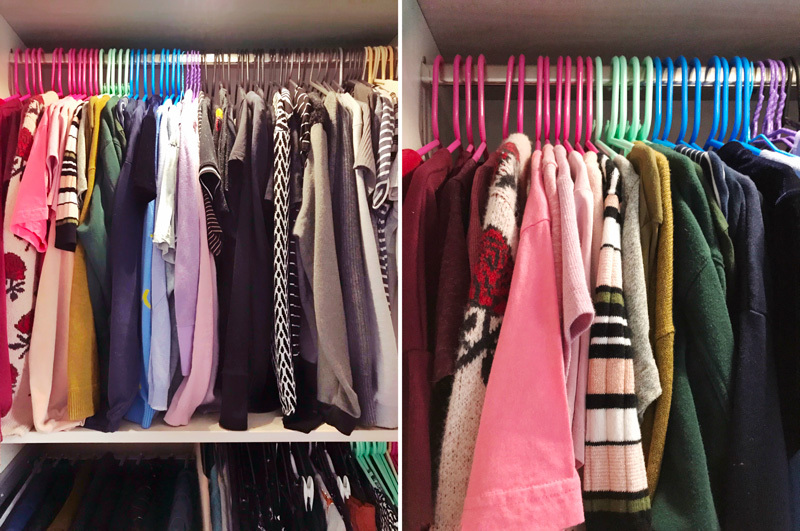 As I carefully sorted and hung things back in the new wardrobe (with colour-coded hangers, thanks for noticing) it made me realise I really like the idea of having a much smaller choice. 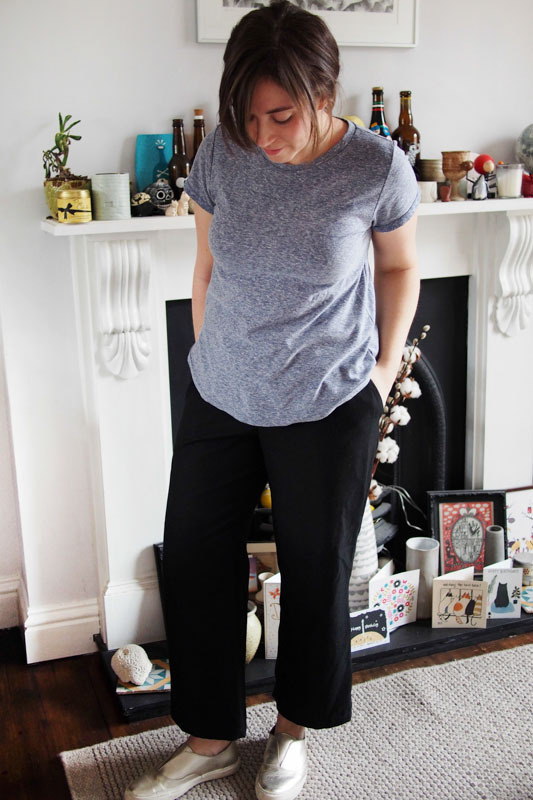 It makes getting dressed much easier: when I was in the midst of everything-everywhere chaos I found I would automatically reach for my top ten garments almost unthinkingly. The old 80-20 rule in full effect. 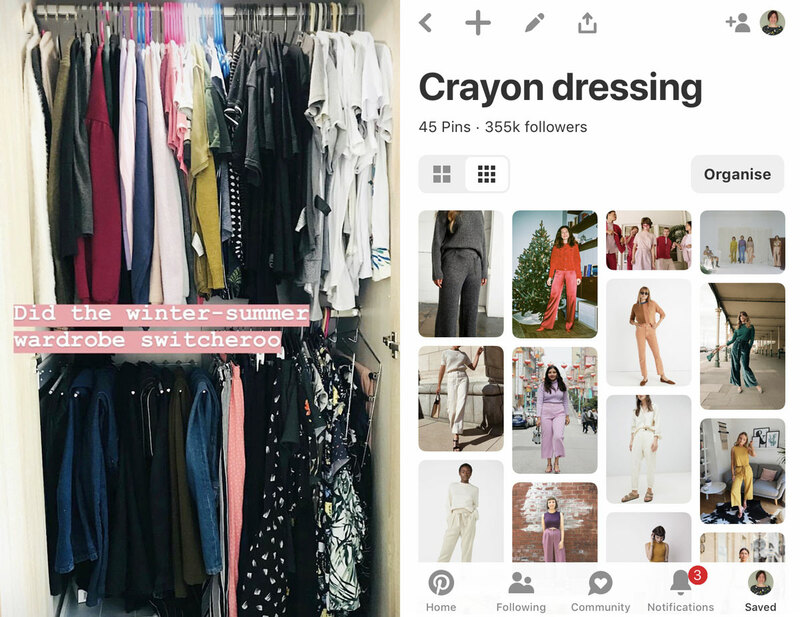 There’s a million and one thinkpieces about how to create a capsule wardrobe (and I have a Pinterest board dedicated to the concept), but I found the steps and advice in this article pretty useful to think about. It begs questions like: What are those pieces I reach for all the time? What’s common about them? 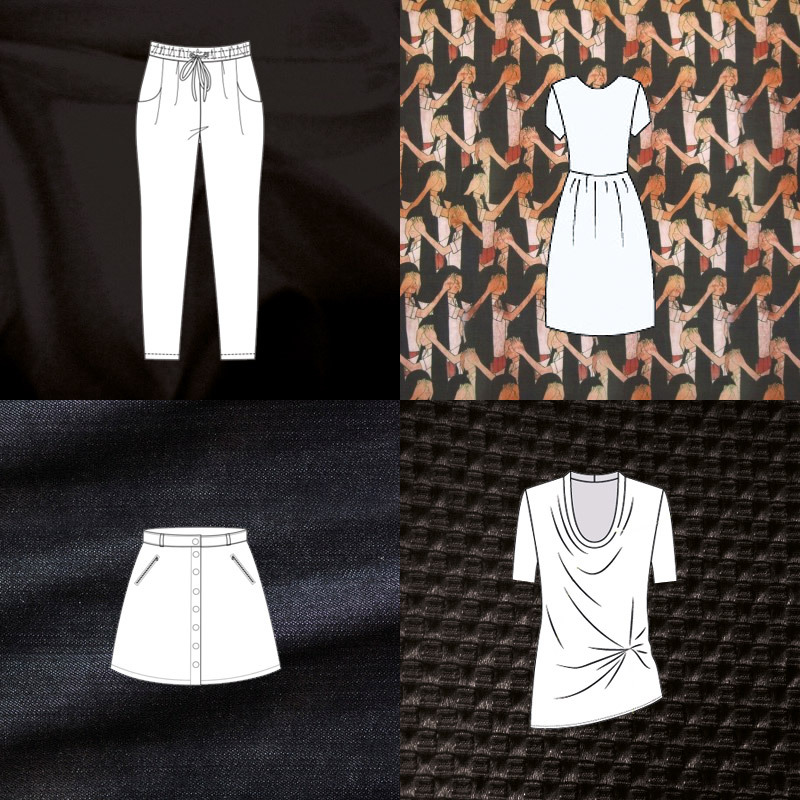 Can I combine them to make easy outfits? How can I make more things like these, without making the exact same thing again for the sake of it? 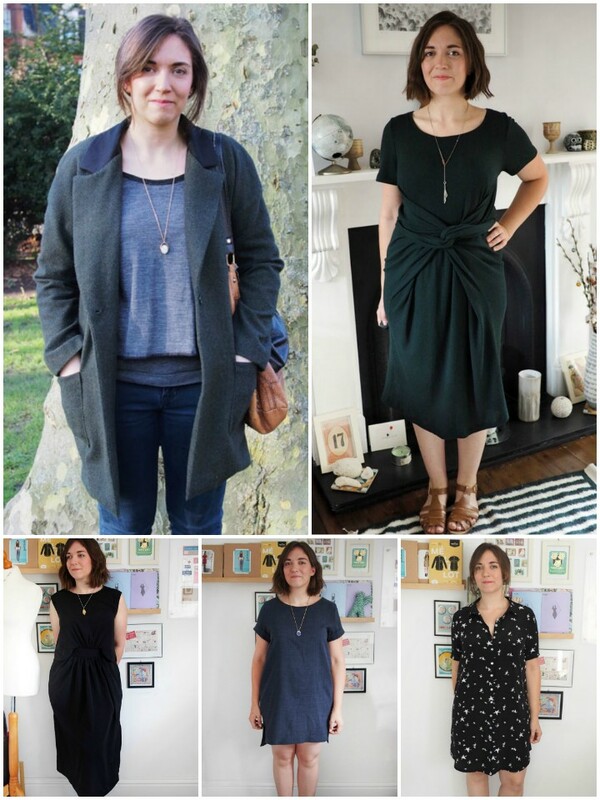 How do I keep up sewing while not needlessly making clothing I don’t want or need? 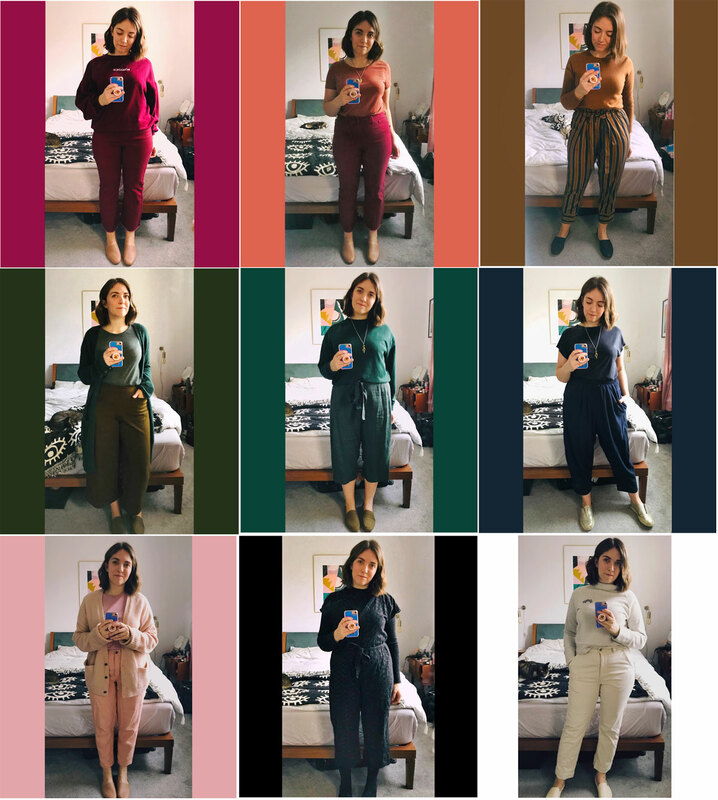 The above is a collage of the garments which I do love and end up grabbing day after day, and it’s not hard to see a pattern, right? 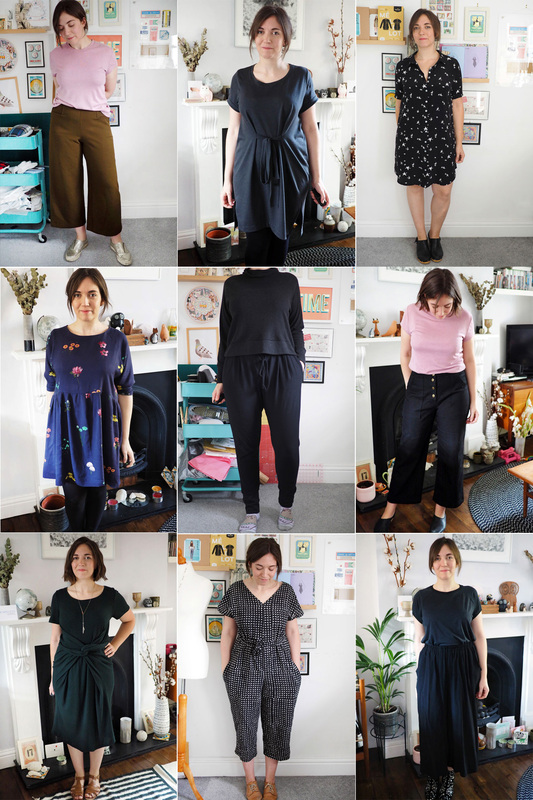 Dark colours (with the odd pop of pale or pastel), tied or high waists, sparse, sketchy prints and drapey fabrics are clearly my jam. 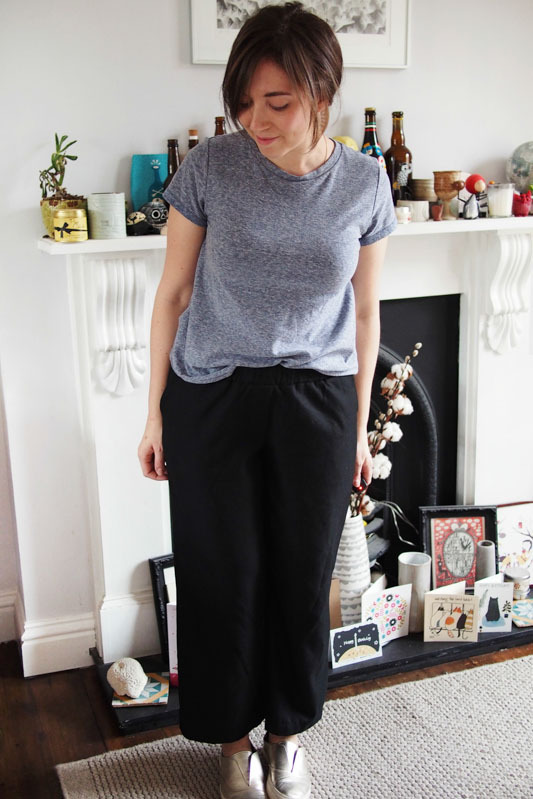 Clothes that are comfortable and well-made in lovely fabrics always float to the top. Of course, sewing still needs to be fun too! I’ve really missed being at my machine the last month or so, and with spring not too far away I’ve been starting to squirrel away ideas for the new season. 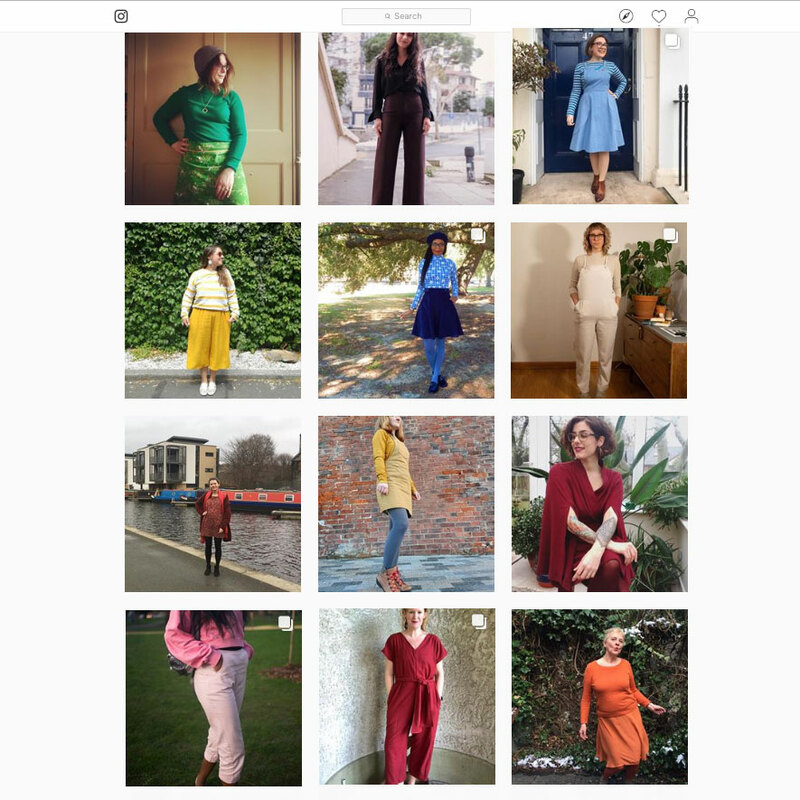 The solution I’m going to test out is being even more considered in the garments I pick to sew, and aiming for longer projects where I perhaps try new skills or really labour over the little details I am often too lazy to invest in. That way I get to enjoy precious sewing time while still building well-made and needed items into my closet. 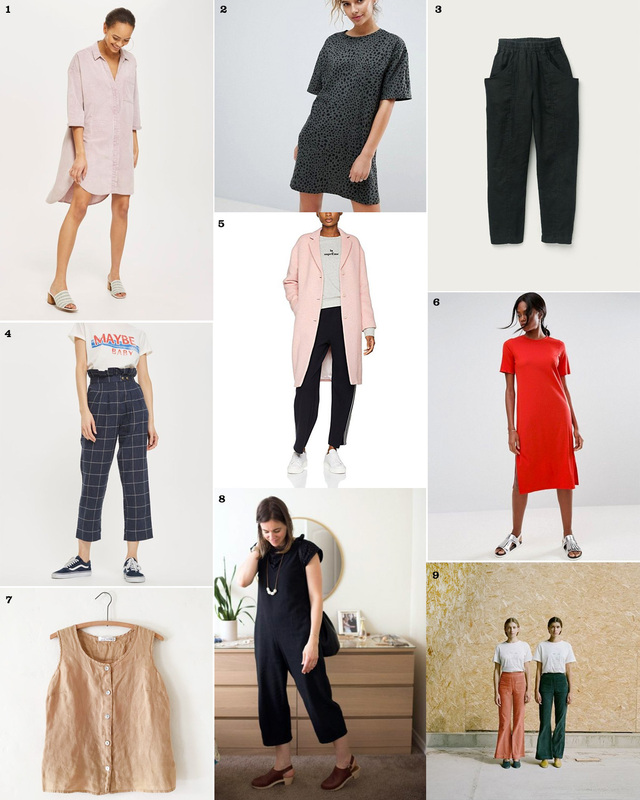 That’s the plan anyway, and these are some ideas on the next few garments I think would be great additions to my carefully-edited wardrobe. 1. Another Helmi dress, maybe one plain and one print. 2. Casual mini tee-dress, maybe another Inari. 4. 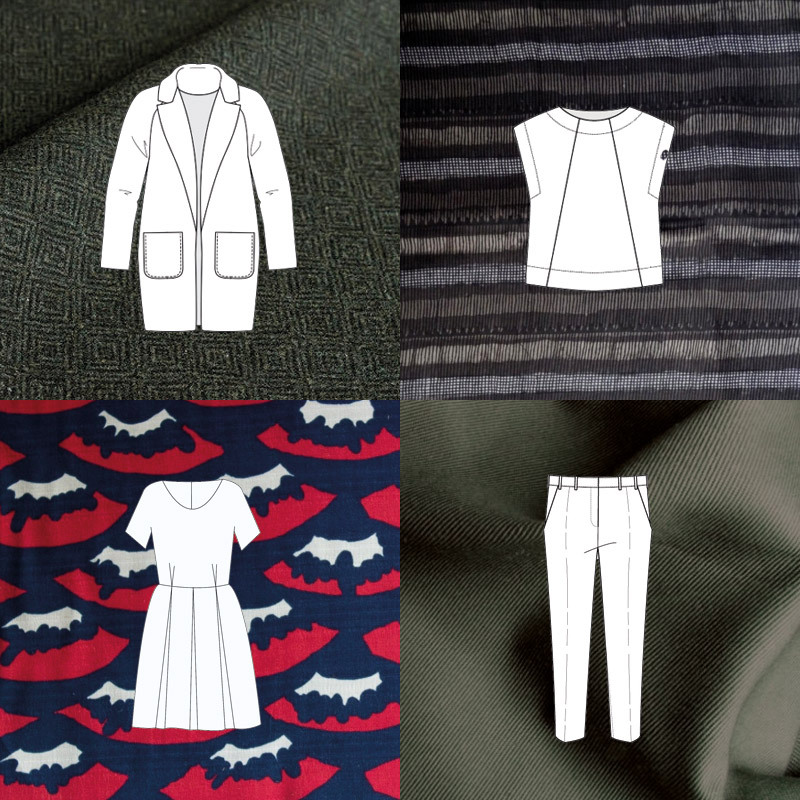 Windowpane check peg trousers – I have the fabric and pattern earmarked for this. 5. 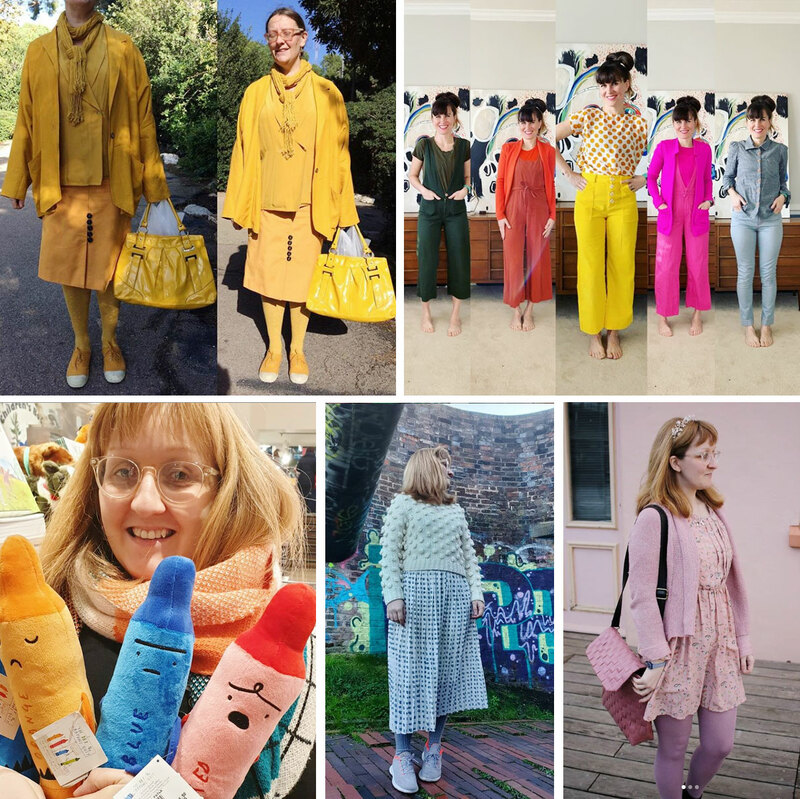 A spring-weight coat. I have the Orageuse Londres in mind, in a tencel or cupro. Not sure if I’ll go for pink or a maybe more classic navy. 6. Midi length knit sheath dress, might hack the Trend knot-front dress. 9. 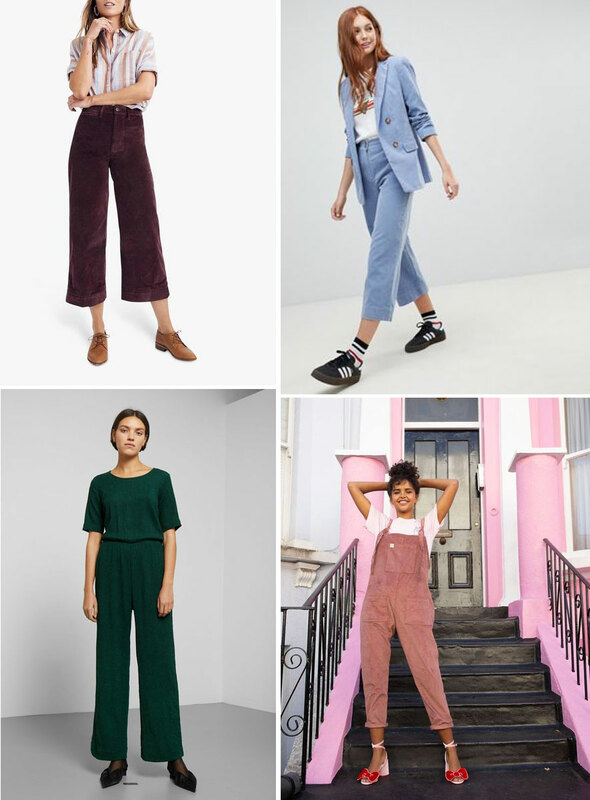 More wide-leg pants, either Landers or high-waist Ginger flares. Finally, here’s a little moodboard to help out with my idea on cohesion, colours and silhouettes. I think I already do pretty well on picking out naturally cohesive projects, but it’s always useful to have a little reference board. Is anyone else thinking about this stuff? Am I overthinking things?! 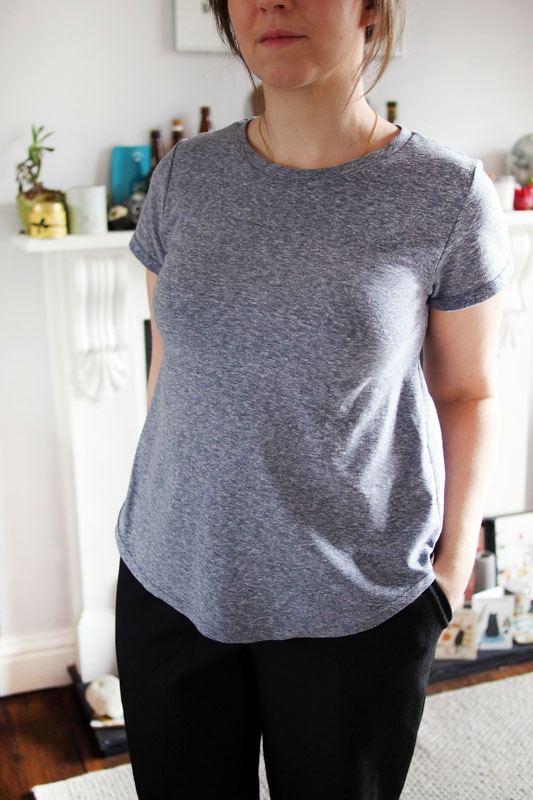 I just finished a lovely spring-facing project which really got me back in love with sewing, so I promise it won’t be a month between posts again! Ahoy there! Man, I’ve got that typical January blues feeling and haven’t really been sewing at all since the new year. That’s not to say I haven’t been thinking a lot about it, though. 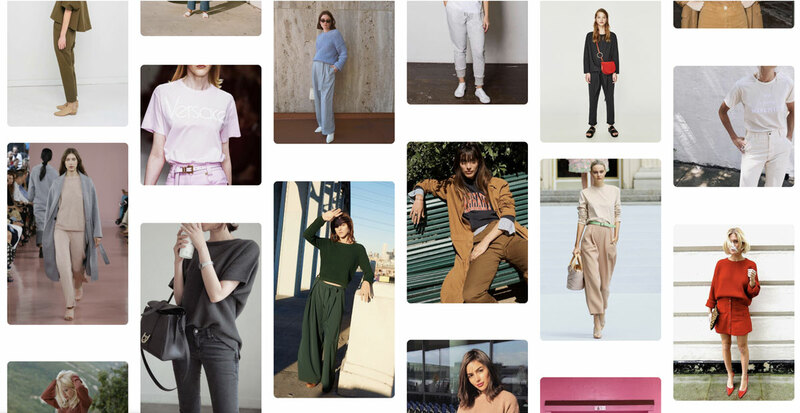 Actually it’s been quite nice to sit back and plan some things I want to make that my wardrobe really needs. It was my birthday this week and I took myself to Brighton for the day, where I topped up my stash nicely in Ditto Fabrics. Nothing like buying beautiful fabrics to feel inspired again! I thought by committing some of my plans to the mockups below I might feel even more motivated to get going. 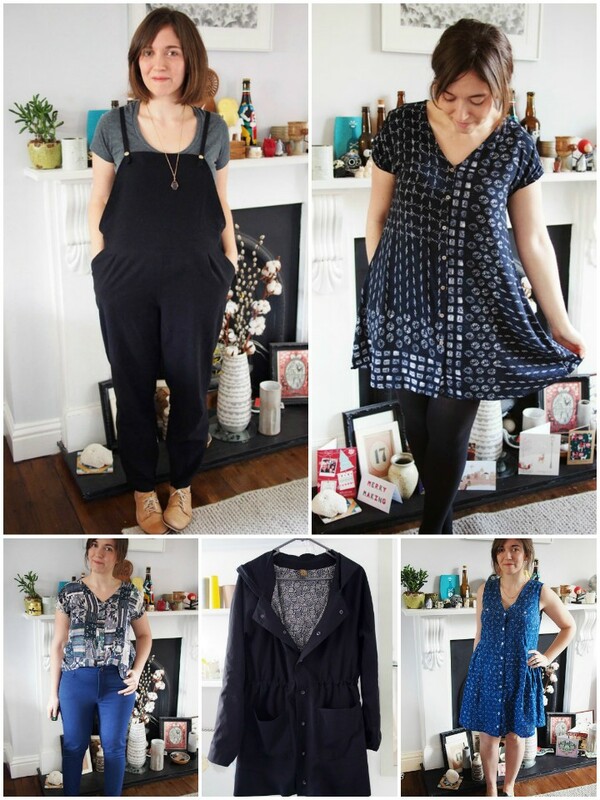 Top left: I really need more trousers that aren’t skinny jeans! 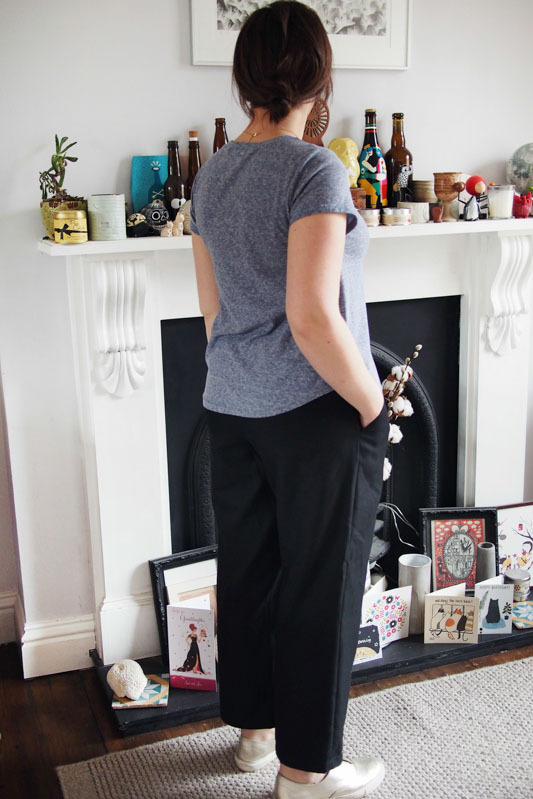 I bought some lovely black viscose suiting from Fabricland in Brighton which I’m going to use to make some peg pants with an elastic waist, probably using the Papercut Anima. 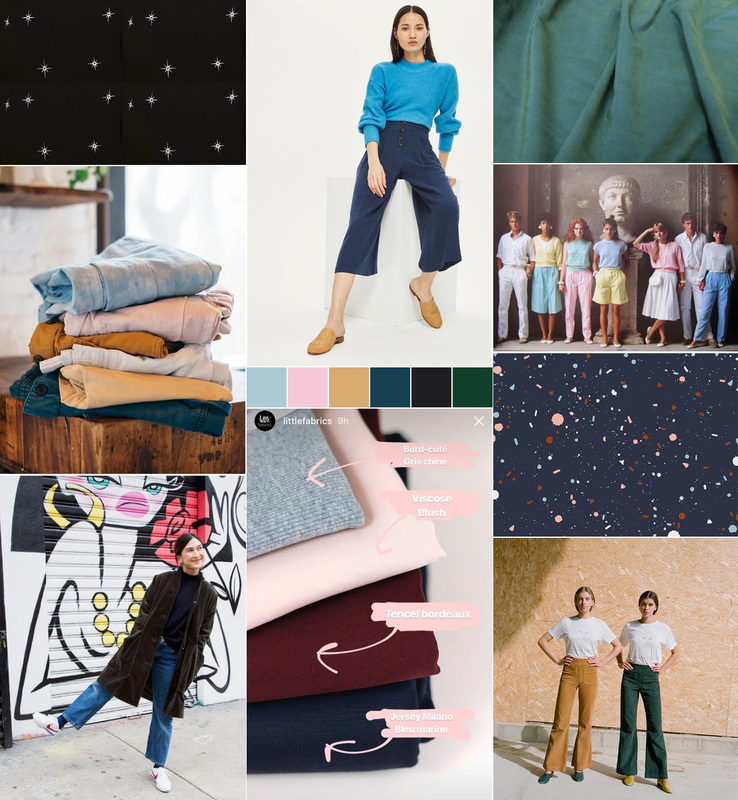 Top right: I treated myself to this AMAZING silk poplin from Ditto – the only print I bought on the day in fact which is a new thing. I can’t resist a print that looks sort of abstract at first, then you realise it’s a bit weird. I’ll show it off in a simple day dress – The Avid Seamstress sent me their Day Dress pattern to test which sounds like a good match. 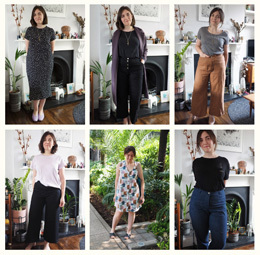 Bottom left: I want a wee button-down denim skirt as another alternative to skinny jeans. This is the Pauline Alice Rosari, but I’ll probably self-draft from my skirt block. 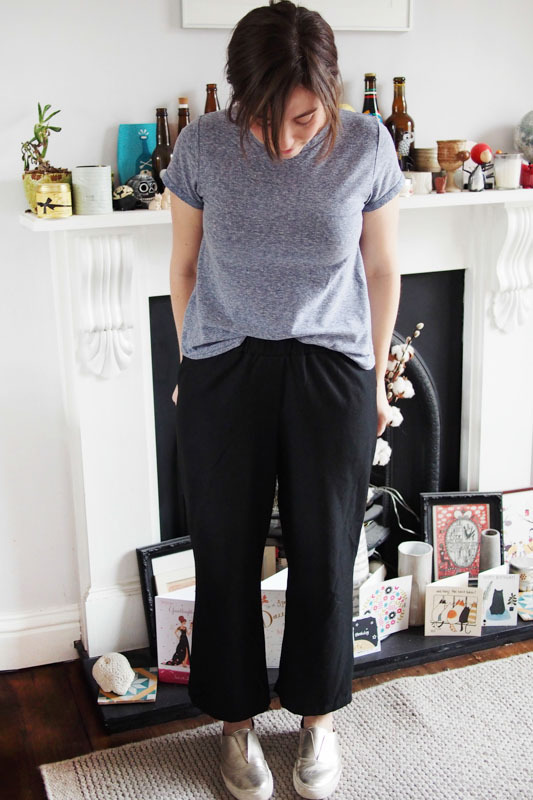 Botton right: I went into Topshop the other day to ‘shop’ for sewing ideas (another fun way to kick up some inspiration), and they had this amazing drapey T-shirt made out of Cupro with a tuck/knot in the front. I think I’ll be able to make a good copy with the Style Arc Molly and some waffley-textured black silk I also got in Ditto. Top left: I’ve been hoarding this gorgeous darkest green diamond patterned coating from Miss Matatabi for a while, and I just bought the Named Yona coat pattern on sale. I want to lengthen it to knee length and probably add some snaps to fasten. Bottom left: I’ve been hoarding this Cloth House Fujiyama print for ages too – for such a bold pattern it’ll have to be a simple silhouette, so I’m thinking either another BHL Zeena or perhaps a boxy T-shirt. I think it worked – definitely keen to get going on all of this soon now!